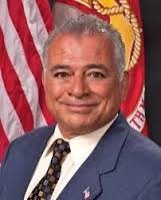 Assemblyman Rocky Chavez, last week, became the first major Republican to announce for the open U.S. Senate seat being vacated by Barbara Boxer. Chavez has a compelling story and impressive resume. He is the first Latino to announce for the seat. Chavez is one of two Latino Republicans in the California Legislature, a retired Colonel in the U.S. Marine Corps, a former Oceanside City Councilman, and the former Acting Secretary of the California Department of Veterans Affairs. Indio Mayor Lupe Ramos Watson has emerged as a leading GOP prospect to challenge Democrat incumbent Raul Ruiz in a key swing Riverside County congressional district. The Hill, a Washington, DC publication which covers Congress, wrote of Watson’s “intriguing” biography and candidacy. Mayor Watson is a GROW Elect member and her candidacy provides an exciting opportunity for the California Republican Party. GROW Elect member, former Downey Mayor, and small business owner Mario Guerra was elected by acclamation as Treasurer of the California Republican Party at last weekend’s convention in Sacramento. Mario made history as the first Hispanic Republican to hold this key position for the CRP. 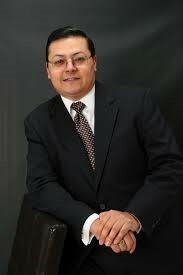 CRP Central Valley Regional Vice-Chair Marcelino Valdez was also re-elected at the same convention. GROW Elect has worked closely with Marcelino, who has emerged as an energetic Republican leader, on local elections in this vital region for both GROW Elect and the Republican Party. GROW Elect congratulates Republican rising stars Guerra and Valdez on their elections and expects big things from both men in the future. GROW Elect member and Cudahy City Councilman Jack Guerrero scored an important victory on Tuesday when voters approved his resolution to impose term limits on City Councilmembers with a resounding 83% of the vote. Councilmembers will be limited to two four-year terms in the future. Cudahy has been rocked by corruption in recent years, caused in part by longtime City Councilmembers. Guerrero was elected to the Council as a reform candidate committed to cleaning up city finances and fighting corruption. 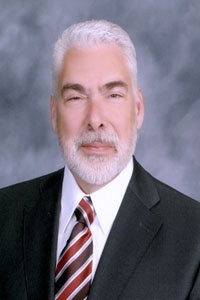 Adding to the list of successful GROW Elect candidates, La Mirada councilman Steve DeRuse was re-elected this past Tuesday, March 3, 2015 to another term. De Ruse is a senior pastor and has been a small business owner. He has been focused on economic development and bringing more businesses and jobs to the city.